With the majority of wedding guests saying that the thing they remember most about a wedding is the entertainment, the quality and style of the entertainer you choose can dramatically influence the “enjoyability” of your evening for both you and your guests. Experience – Remember, your wedding DJ is not just in charge of planning the music, he or she also acts as the ‘MC.’ You want to make sure that your DJ can keep the crowd entertained. This could be mean the difference between a packed dance floor all night, or people leaving by 9pm. Peace of Mind – After all of the planning you put into your big day, the last thing you want to do is worry if your guests will have a good time. By hiring a professional, you are being reassured that the night will be amazing! 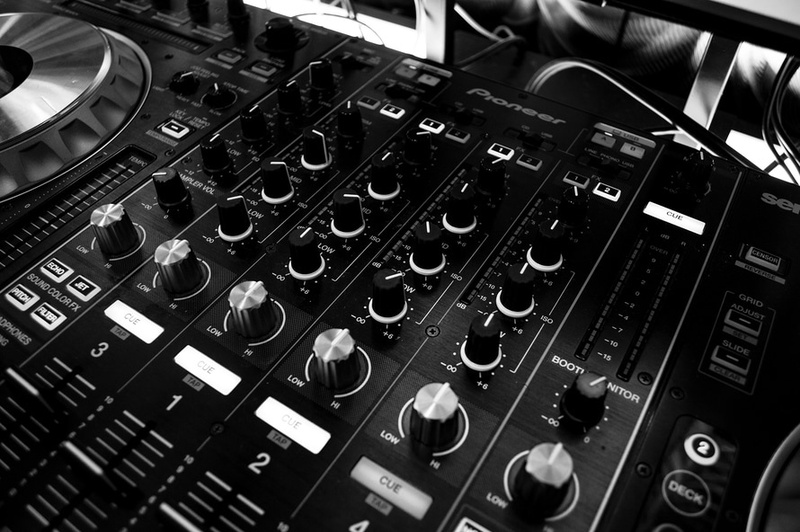 Reliability – What will happen if your friend or amateur DJ develops an illness, equipment failure or transportation problem? With a professional company, replacement equipment and additional staff should be readily available. Equipment – Professional DJs have the very best equipment to make sure that the music sounds awesome and balanced. Etiquette – This is a HUGE one. You don’t want your DJ to look sloppy, poorly dresses, etc. You want to make sure they are professional in their look and their interaction with you and your guests. Music Variety – Good DJs have access to all of your favorite songs and can play almost any request on the spot. This is certainly not the case with a DJ that doesn’t have the experience.